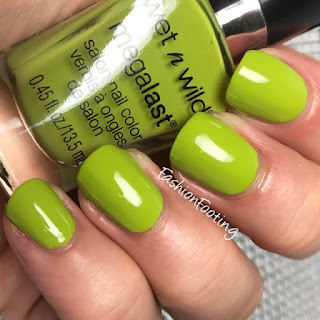 I have another Summer Sizzle Wet n Wild polish to share with you today! This is Split Pea Soup, and I mean, what else is there to say about this color other than it's perfectly split pea soup colored. I used 2 coats; the formula was great and it covered evenly.